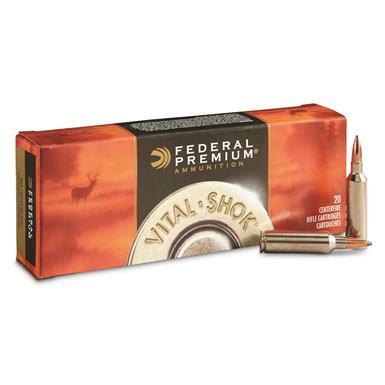 Federal, Premium Vital-Shok Nosler Partition, .270 Winchester Short Magnum, NP, 150 Grain, 20 Rounds is rated 4.9 out of 5 by 14. Rated 5 out of 5 by Dan71 from Outstanding round! I have harvested 5 elk with this load- none traveled further than 50 yards. Shoots one inch groups at 100yds in my Browning 280. Rated 5 out of 5 by Gun Slinger from Best Kept Secret I purchased both 7mm and 300 win mag in December 2019, I was really impressed that this economical ammo had the look and feel of an expensive and costly brand. When I sighted my rifles in at 200 yards my grouping were less that 1" and solid. I so was so impressed with the grouping that I decided to try them on an actual hunt. In January of 2019, I was able to see the both rounds and calibers in action on a coupler Louisiana white tail deers. The bullet did what I expected, in fact, I was so thrilled at its performance that I decided to use them in the up coming season as my primary ammo. Rated 5 out of 5 by Copernicus from Fantastic ammunition - deadly and accurate I love this ammunition in both 6.5 Creedmoor and .308. Most accurate ammunition I have found, and I reload to boot. I enclosed a picture of a one hole group I made today( made several) using this ammunition. I also harvested some nice deer with the non- typical- retrieving all deer with 100 yards being the longest track job. Rated 5 out of 5 by Sean69 from Great Deer round Browning x bolt fluted 22 in. Carbon stock. I have it set 0 at 200 have killed several whitetail at various ranges from 30 to 150 plus. These have always put the game down with 1 shot in kill zone and no tracking. Rated 5 out of 5 by Sniper20 from Super Accurate I purchased these to shoot out of my Winchester Coyote rifle with a 24" barrel. I am amazed at the accuracy I get using this ammo. I was getting 3/4" groups at 200 yards from my rest. 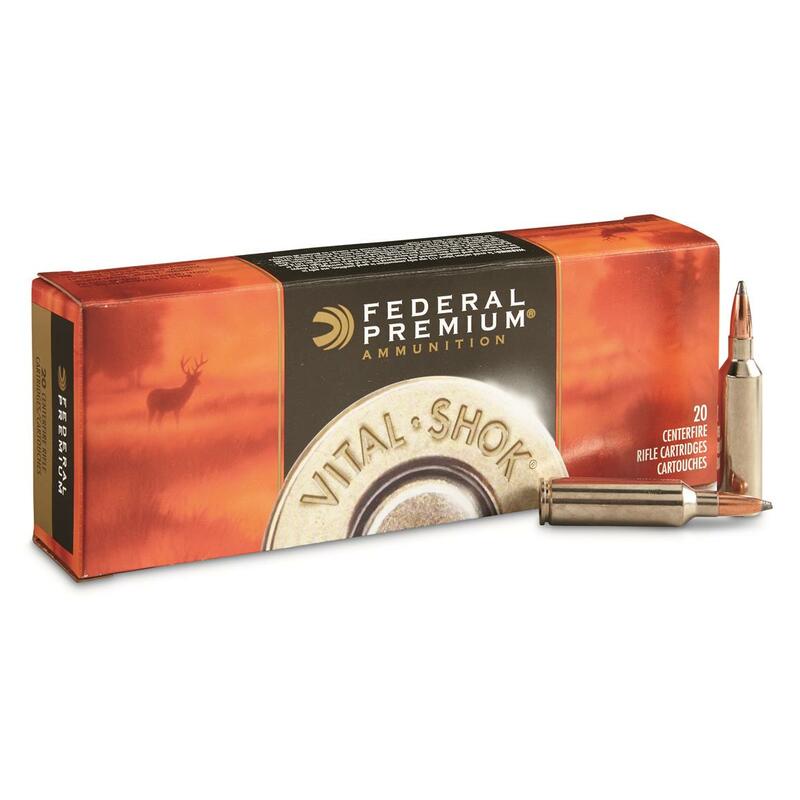 I will be buying these by the case as I know these bullets are devastating on deer.